“I agree on the one condition it’s not going to be a girl power post, ok”? That’s what Gali Ross requested when I asked to profile her for TechCrunch. So this isn’t going to be a ‘girl power’ post, but the fact of the matter is that female entrepreneurs are a rare breed. Let’s all try a mental game together… How many female startup CEO’s can you name off the top of your head? I am embarrassed to say that I have trouble coming up with more than a handful, but I don’t think I am alone. Here’s what I find strange about all this: I speak to VC’s and private investors regularly, and have never EVER heard anyone comment negatively on deal-flow based on the entrepreneur’s gender. Startups—at least this has been my experience—are weighted on the merits of the product, market and the team, but never on gender. Frankly, I can’t explain why female entrepreneurs are a rare commodity in our industry. (Feel free to enlighten me about the gender bias underpinning the tech industry in comments). Amit Knaani is best known in the Israeli startup industry as the former Senior Product Manager of Wix.com. She quit the hot startup to join forces with Yami Glick, another well-known figure in the local startup scene. 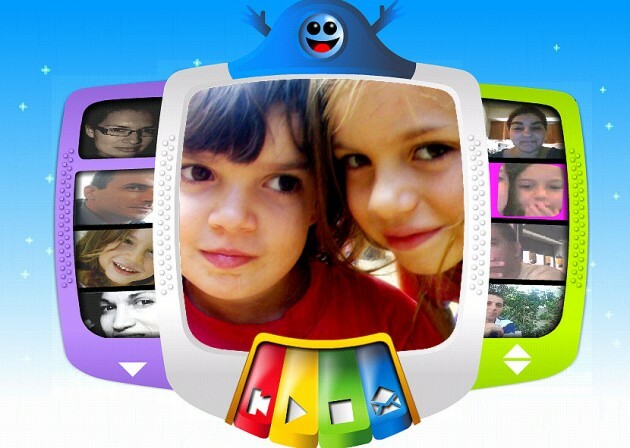 Together the two founded Vikido, a video messaging service designed to allow kids (3-9) and their parents to send and receive video messages using an an interface with no reading prerequisites. A mother of two girls (hence her familiarity with the need for such a product), Amit has been in our little industry for 10 years now, starting as a photo editor at Israel’s largest news site Ynet. She then moved on to manage the biggest medical site in Israel doctors.co.il, doing everything from spec’ing to selling media to business development. It was there that she started thinking about the idea for Vikido, mostly due to gaps of communication experienced by sick kids (information, connection with friends and parents). By then it was clear to her that she wanted to be involved in consumer products with strong community reach and the ability to make an impact on people and what they do on the web. That’s when the Wix gig came about. Team Vikido is planning to launch its product in September. In the mean time they are hustling to get funding, writing code, and chronicling the trials and tribulations of startup life in a weekly article series on Ynet called ‘The Transparent Startup’. 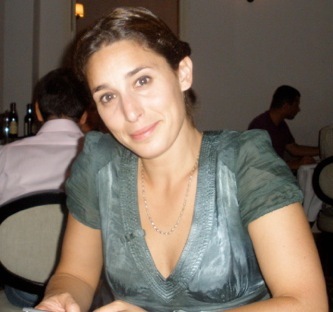 Orit Hashay has also been active in in Israeli startups for over 10 years, having taken on software and business development posts with public companies such as Emblaze and Comverse, as well as consulting for various Israeli startups. 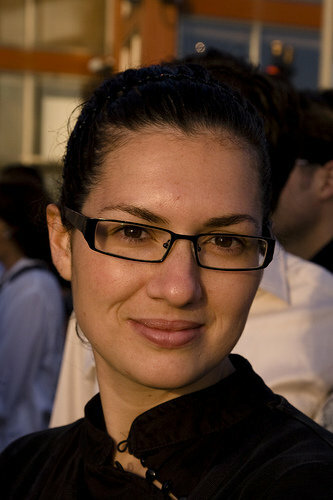 Orit is also somewhat of a local serial entrepreneur. She’s founded a Yelp-ish review site called Ramkol.co.il and mit4mit.co.il, the second most popular wedding review site in Israel. Most recently Orit held the Entrepreneur in Residence role at Decima Ventures, where she was responsible for technical and market analysis. Decima is also where her newest venture, Vetrinas was born. 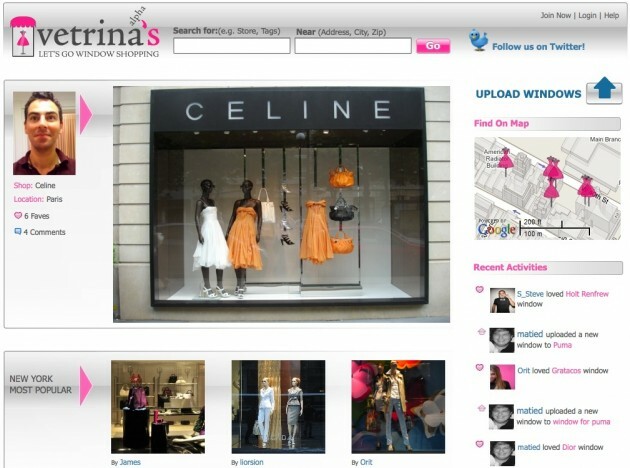 Vetrinas is a virtual shopping window to hundreds of stores from across the fashion Meccas of the world, be it London, New York, Paris or Milan. Vetrinas is targeting three segments: Consumers with an interest in high-fashion. Retailers that want to expose potential on/offline shoppers to specific products or brand advertising. And finally, shop window designers that can display their work (art) in order to attain job offers. Orit coded all of Vetrina’s herself and intends to generate revenue by way of affiliation through the site and rev-share through widgets that will syndicate content to blogs and websites. Vetrinas is currently in Alpha. Gali Ross is one those people you (or at least I) hated in school because she made you (me) look so lazy and unfocused. She took physics, math and political science. Not having gone unnoticed, she went on to become an intelligence officer in the Israeli Defense Forces and then later an Information Systems Engineering graduate of the Technion (Israel’s MIT). She then joined eWave where she kept busy with project management and, afterward, marketing, sales and business development. Two years later she joined Israeli dev house Clementina as COO. That’s where she worked with Israeli startups such as my6sense, Spikko, and Footbo. Temptation was in the air and Gali couldn’t resist so she recruited a partner and founded Razoss. Gali is still very protective of her product so details and access are limited. 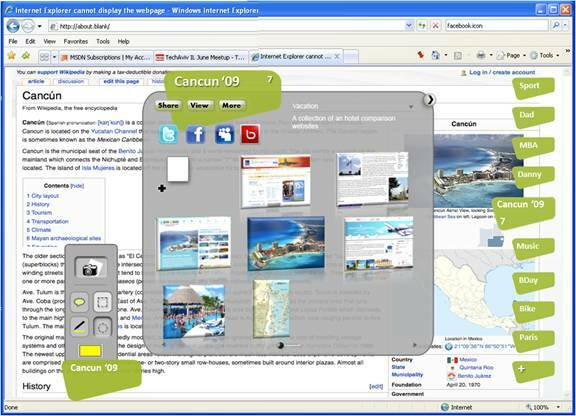 In vague terms it can be described as a browser-based content promotion platform, where the idea is to enhance the browser beyond content display, to content management and distribution. Initial funding was provided by Dr. Yossi Vardi a little over a year ago and a second investment is near closing. The product is in private alpha, with a wider release intended in a few months.